Those who lived through the concerts of The Mix, knows how evocative performances by the integrative band from Braunschweig. The handmade skirt by people with disabilities moved and inspired at the same time. This creates moods that reverberate in our minds even after the concerts for a long time. Many of the band members with disabilities feel the music as a liberation of the soul. About the music aspirations are aroused, reduced constraints and given joy. And so The Mix understood as an ambassador for the fundamental rights of people with disabilities in our society, as an expression of self-determination and free development of one's personality. The young band from Neuerkerode at Brunswick was founded in 2009 by Peter Savic. 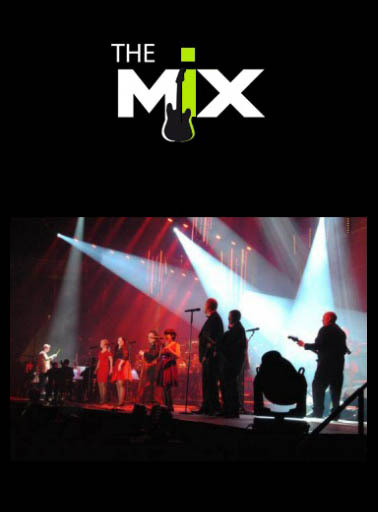 Meanwhile, The Mix with 12 band members (guitar, bass, keyboard, drums, singer) is not only regionally but also internationally requested by a growing fan base. The Mix - "Wo geht die Reise hin"